This is one of the few songs I've written in which the main character really exists. 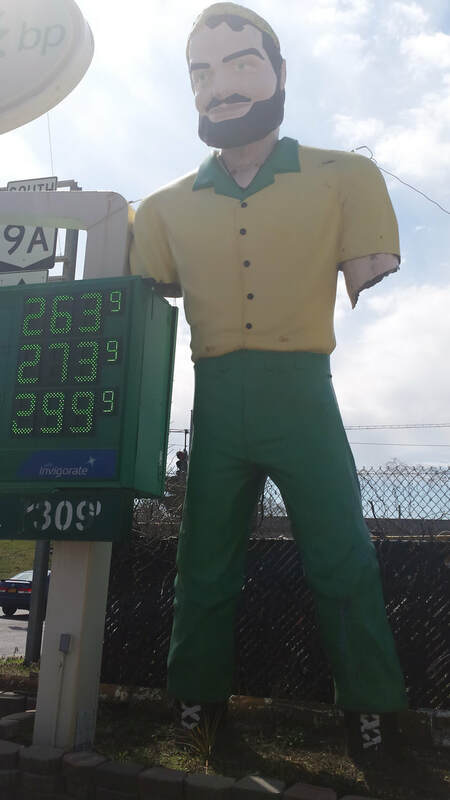 You can find him on Route 9A in Elmsford, New York, right by the off-ramp from Route 287. He's outside a gas station, not a tire store as the song claims. He's twenty feet tall and was built by International Fiberglass, probably in the 1960s. There's a little more information about him on a website called Roadside Architecture (http://www.roadarch.com/giants/ifbunyans3.html).